In Dark Souls3 different bows can be found, also you'll be able to get them as reward or create from the bosses' souls. A big number of all players prefer the Crossbows, Bows and Greatbows to use them against their enemies at the distance without exposing themselves to danger. Bows have been changed. Different kinds of bows in this game have various damage, attack speed and ranges. They need arrows and sufficient dexterity amount. 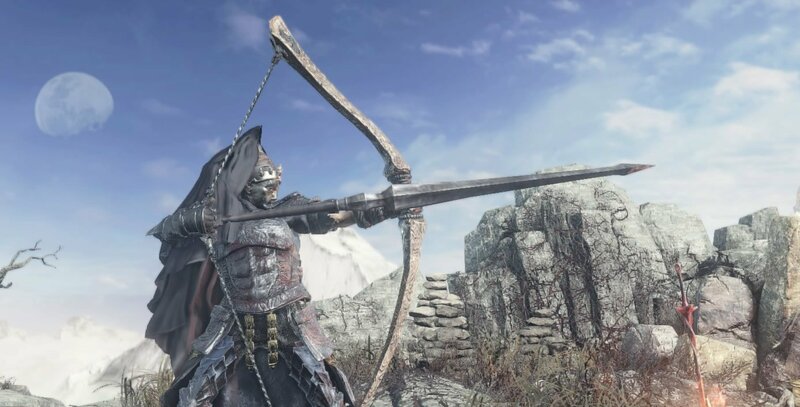 The most powerful type of bows in Dark Souls3 is Greatbow. Your enemies will be knocked off their feet with the only shot. The Crossbows require bolts not arrows. That is why they do more damage including the total one. But you will not be able to infuse the Crossbows with poison. They fire rather faster than analogous bows.